All is now set for the People Democratic National Elective convention, December 9th & 10 2017. This will provide the live programme of events from the EAGLES SQUARE ABUJA. 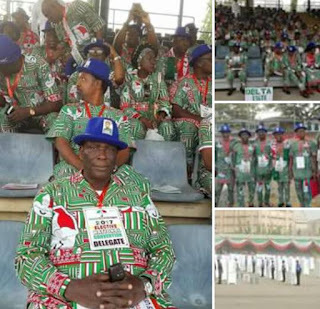 will elect new members of its National Working Committee (NWC) at a convention in Abuja. 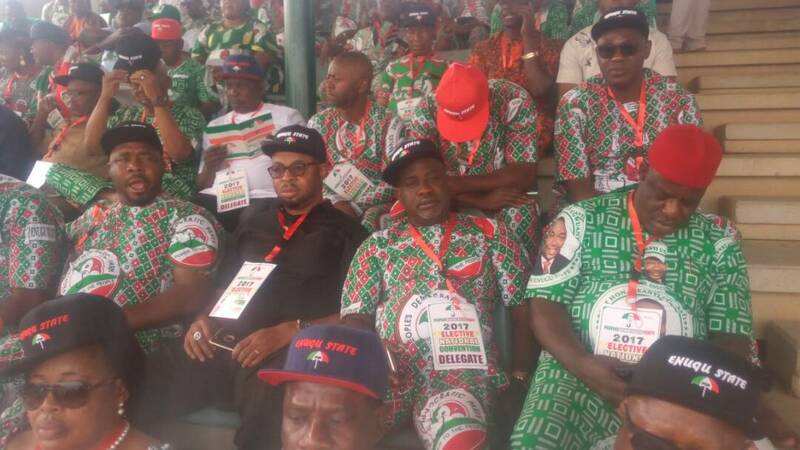 The NWC, according to Part V111, Section 29 (1) of the party’s Constitution, consists of the national chairman, deputy national chairman (north and south), national secretary, deputy national secretary, national treasurer, national financial secretary, national organising secretary, and national publicity secretary. Other officials include national auditor, national legal adviser, national woman leader and the national youth leader. The new leadership, which will be responsible for the day to day administration of the party, will have a tenure of four years. Those angling for the position of chairman are a former Governor of Ogun State, Gbenga Daniel; founder of AIT and Raypower, Raymond Dokpesi; a former Deputy National Chairman of the party, Bode George; a former Deputy National Chairman and Acting Chairman of the party, Uche Secondus; and a former Minister of Education, Tunde Adeniran. 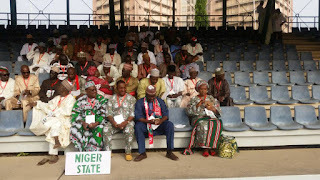 Others are a former Governor of Oyo State, Rasheed Ladoja; a former governorship candidate of the party in Lagos State, Jimi Agbaje; a former Minister of Youth and Sports, Taofeek Adedoja and Segun Aderemi. 5. former Minister of Education, Tunde Adeniran. 1. Inna Ciroma: She is the wife of Adamu Ciroma, a former Minister of Finance. Mrs. Ciroma is herself a former Minister of Women Affairs and a former national woman leader of the PDP thus she is not new to party administration. 2. Abdulmalik Mahmud: Mr. Mahmud is not new to party administration. He is the immediate past chairman of the caretaker committee of the PDP in Borno State. 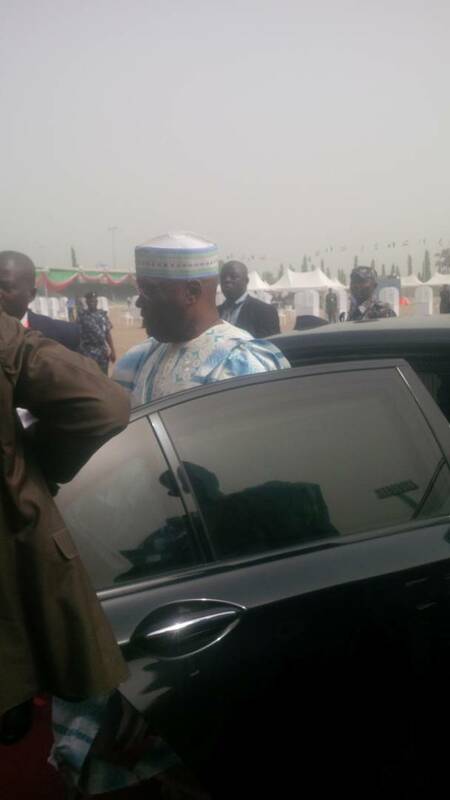 He was also at one time, the caretaker committee chairman of the party in Zamfara State. 1. 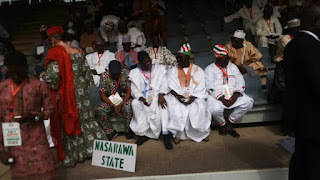 Nenadi Usman: Mrs. Usman, who hails from Kaduna State, is a former Minister of Finance and a former senator, representing Kaduna South senatorial district. 2. 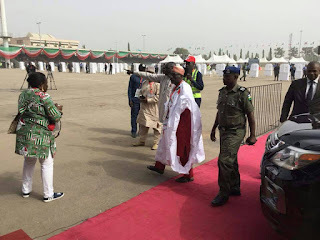 Umar Tsauri: He is a former senator from Katsina State. Mr. Tsauri is coming into the race with a huge public service experience. 3. 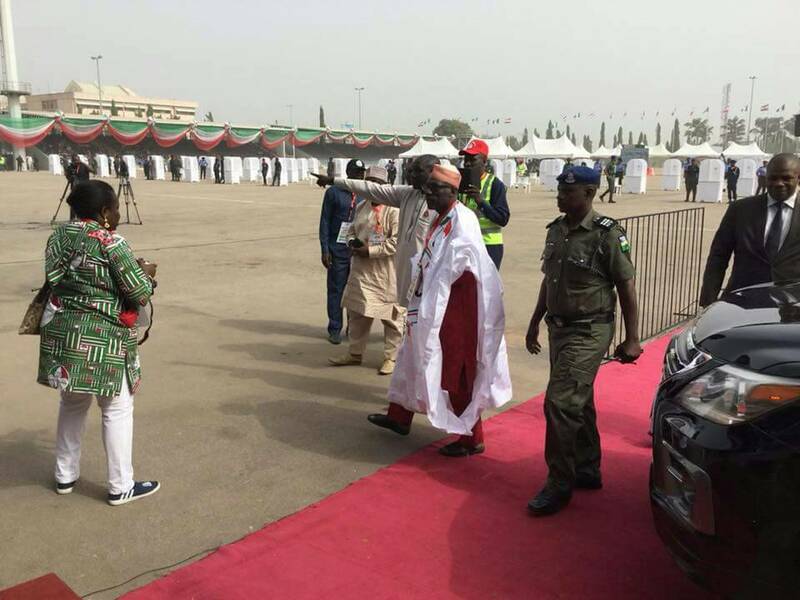 Abubakar Mustapha: The 67-year-old technocrat from Makarfi in Kaduna State was the national organising secretary of the party until 2016. 1. Kola Ologbondiyan: Mr. Ologbondiyan hails from western senatorial district of Kogi State. 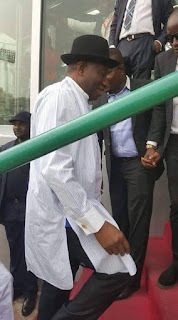 Until recently, 2015, he was the special adviser on media and publicity to former Senate President, David Mark. A graduate of Mass Communication from the University of Lagos, he had worked previously with ThisDay newspaper where he rose through the ranks to become its group political editor, deputy editor of the daily title. 2. Farouk Audu-Adejoh: As stated above, Mr. Audu-Adejoh is from the Igala ethnic group, the single largest ethnic group in the district as well as the state. Mr. Adejoh had worked as a political correspondent of the Punch newspapers, covering sensitive beats such as the National Assembly and the Presidential Villa. 3. Usman Kabiru: He is the third contender for the position from Kogi State. Mr. Kabiru, a lawyer, is not new in the leadership cadre of the PDP. He was its legal adviser in the north central zone and a member of the Ahmed Makarfi-led national caretaker committee where he also served in the same position. Having served in those positions, it is believed that he would bring experience to work for the party once more. 4. Ben Duntoye: Mr. Duntoye is a former Commissioner for Information and Communications in Kwara State. He was also the Executive Director, Youth Development and Reformative Initiative and also a former delegate to the 2014 National Conference representing National Youth Organisation. 5. Abubakar Suleiman: He is an indigene of Kwara State. Mr. Suleiman was Minister of National Planning in the administration of former President Goodluck Jonathan. The former lecturer at the University of Abuja is currently the spokesperson of the PDP Forum of Ministers. 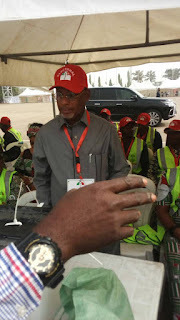 During his formal declaration to contest for the position, Mr. Suleiman, a professor, noted that the PDP deserved a mouthpiece that exudes great personality, a person well known by the media and the general public. 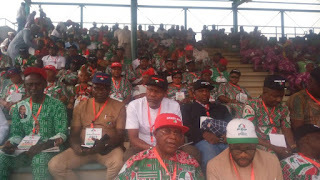 He also said the party’s spokesperson should be one whose activity has the capacity to command media attention and win the heart of Nigerians, a cerebral and a courageous and experienced person with good oratory skills. He said he represents all of these. 1. Austin Akobundu: He is a retired army colonel and a former Minister of State for Defence in the administration of President Jonathan. 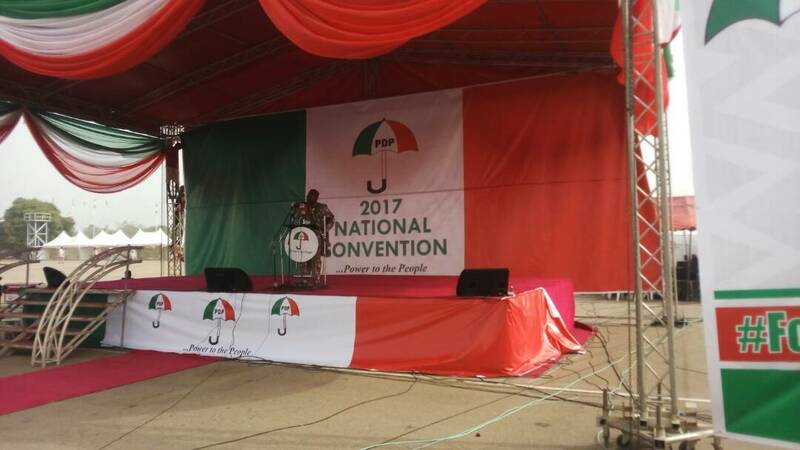 He had served as the national vice chairman of the PDP for South East. Mr. Akobundu appears to be towering above his lone challenger because of the credentials he parades. 2. Emeka Wachukwu: He is a security and communications consultant. Mr. Wachukwu is a strong contender though not much is known about him. It is only apt that this address begins with a tribute to a true founding father of our great party and a strong pillar in the struggle for the enthronement of an enduring democracy in our country; one who made tremendous sacrifices to ensure the survival of both the party and the country; one who virtually stayed awake so we all could sleep soundly. Ladies and gentlemen, may we all rise and observe a moment of silence in memory and honour of the first democratically elected Vice President of Nigeria Dr Alex Ifeanyichukwu Ekwueme who passed on a couple of weeks ago. In the wake of the performance of our dear party at the 2015 general elections, it was natural, as in most human endeavors for all of us to, not necessarily despair, but be disappointed and do some introspection with a view to finding out what went wrong and how best to make amends and move forward. 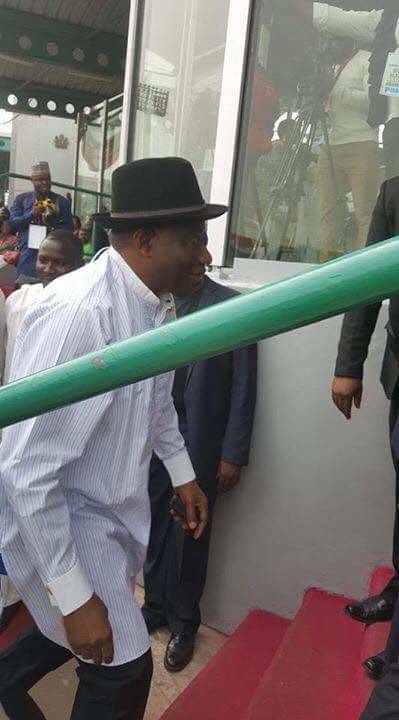 It was in that spirit and belief not only in the temporariness of that setback but also the conviction that we could, indeed, would bounce back, that we earnestly looked forward to the party’s May 21 2016 convention in Port Harcourt, at which we expected to elect a new leadership, which we would rally around to chart a new course forward for our party. The Port Harcourt convention however, did not succeed in doing that due to reasons that we all here know and which need no rehashing. Those reasons and the compelling need to keep the wheels of our dear party moving, as well as kick start the process of repositioning it led you fellow delegates, to consider reposing your trust and confidence in my colleagues and I as you constituted us into a Care Taker Committee to oversee the affairs of the party and organize a fresh convention within three months. Distinguished delegate colleagues, I need not regale you with the various landmines that we came across particularly in the form litigations challenging your Port Harcourt decision, which led to your extending the tenure of our committee to one year. Even then, the litigation obstacles remained quite a handful as we had to divide our time between attending to them and discharging our mandate. Not until the 12th of July this year, when the nation’s Supreme Court finally nailed the coffin of the litigations in favour of your Port Harcourt May 2016 decision, could we effectively settle down to the job. As you are all aware, we took over the leadership of a party that was beset by one form of crisis or the other, obviously a fallout from the defeat we suffered in the 2015 elections. The party in many states had become divided right from the processes leading to the 2015 elections and also on account of inconclusive or fraudulently conducted congresses leading to the convention; infighting and general lack of cohesion were becoming the order of the day as disenchantment reigned, threatening an implosion. In addition to that, the acute financial position of the party did not help matters, as all but one of the bank accounts we inherited had been garnished by various court judgements on account of debts. The only bank account we have had access to these past 18 months is one that had less than two million naira. We virtually lived from hand to mouth. All that we have succeeded in doing, including the payments of staff salaries, office needs, maintenance and operational expenses have been from party leaders and our personal sacrifices. Those odds notwithstanding, we applied ourselves as best as we could to measure up to your confidence. It is with gratitude to God that I report to you that we succeeded in bringing about substantial reconciliation among PDP members across the country, especially in those states where we inherited serious leadership problems with several factions staking claims to it. 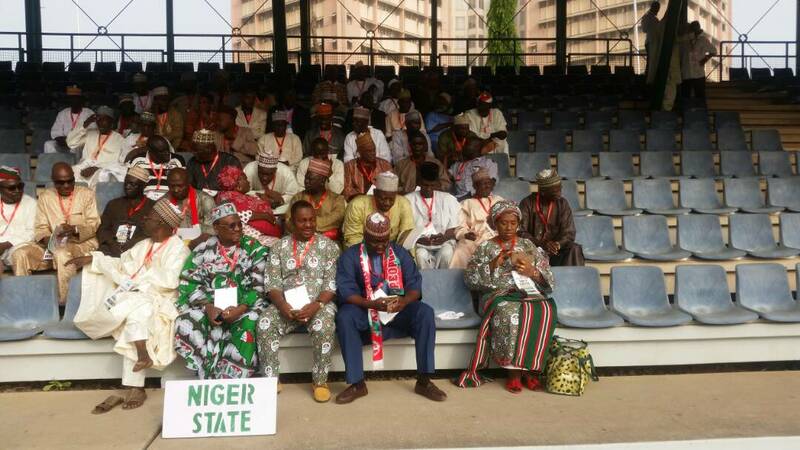 States like Adamawa, Anambra, Borno, Kebbi, Kwara, Lagos, Ogun, Osun and Oyo were all in this category. 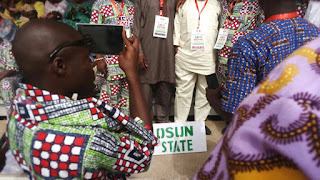 I am happy to inform you dear delegates, that in all of these states but Osun, we have engendered the emergence, through democratic means, of new leaderships. This is not to say that divergent interests have ceased to exist; no human gathering is that successful, but such diverse interests have found accommodation under one umbrella. 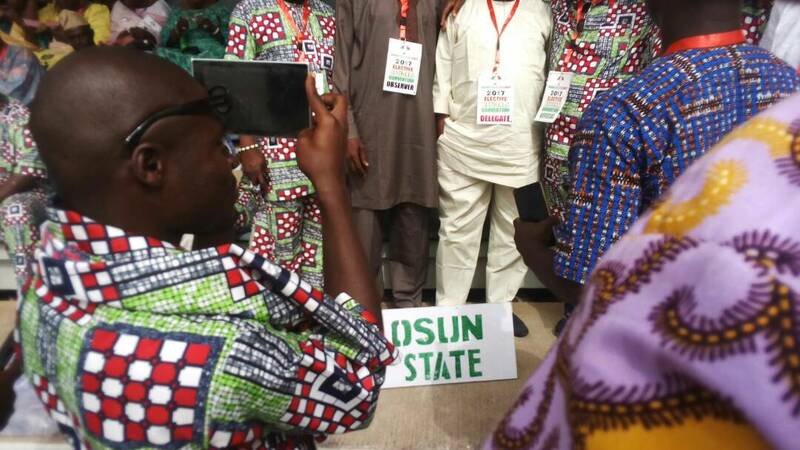 Time and circumstances have conspired against us in the case of Osun, even though some progress has been made, which we hope the incoming national leadership of the party will build upon. Since the Supreme Court judgement, things have been calmer, even though there are still some outstanding legal issues involving Ogun State as well as the Southwest zonal leadership. It is my hope that before long, litigations will cease to be the vehicle through which we resolve our issues in the PDP, as the party has adequate internal mechanisms of conflict resolution that are far better than washing our linens in public. I appeal to all members of our great party to eschew division and rancor and imbibe the culture of subsuming their individual interests into the larger interest of the party as the party is such a huge umbrella that is big enough to accommodate the interests of all of us. In the course of our trying to reconcile and bring all members under one roof, we were very clear in our minds that we were not embarking on a popularity contest. It is such a paradox of life that no such project can be successfully executed without somehow, inadvertently hurting one interest or the other. As I kept hammering while the Care Taker Committee was at it, all we did was to ensure that every body made one sacrifice or the other for the progress of the whole family, so that at the end of the day, all of us would come out winners. I therefore commend the spirit of sacrifice, selflessness and give-and-take exhibited by so many of the party leaders at all levels, even where decisions did not go their ways. The party is definitely the better for their statesmanship and is indebted to them. I want to assure them and you all that in all the decisions we took, a lot of them very difficult and painful, the larger picture was the subject of our focus. Distinguished delegates, I want to humbly submit that we have, despite all constraints, laid a good foundation for the repositioning of our great party, turning it into the beautiful bride coveted by all discerning politicians. There is no wonder therefore that, so many people who at one point or the other were members of the party, but who for one reason or another had to leave for some other parties, have either been coming back or knocking at our doors. The party heartily welcomes them back home and encourages them to feel well at home. I want to appeal to the incoming leadership to ensure that our doors remain wide open for both returnees and new members and to also ensure that they are not disadvantaged in any way, just as it is also imperative that the loyalty, sacrifices, commitment and dedication of those who stuck with the party through thick and thin are not denigrated in any way. A level playing field must be availed all members so that we avoid a situation in which we create many other problems while trying to solve one. In words and actions, we must continuously assure and reassure members that loyalty to the party does, indeed pay and is rewarded. It is not out of place for me to advise the incoming leadership to focus, among others, on evolving ways that would facilitate greater involvement of women and youths in both politics and governance. Our women have been blazing the trail in so many endeavours that I believe it will be apt for them to be given more encouragement and provided with the platform to continue to excel for the benefit of all of us. The youths too must be factored in whatever we are doing, because sooner rather than later they will find themselves taking over our affairs. It is therefore in our enlightened self-interest to ensure that they are prepared for the tasks ahead. One way to do this is to constantly and continuously expose them to leadership and its vagaries so that nothing is strange or odd to them when the time comes. Part of that preparation is also to ensure that they receive quality education. In this regard I believe that the rate at which our students, especially in institutions of higher learning are being forced to abandon schools on account of inability to afford tuition fees will do us no good. We must evolve ways of helping students to make ends meet, even if it means the party amending its manifesto to include the provision of student’s loan scheme, which will lessen the weight of their burden and enable them concentrate on their studies. 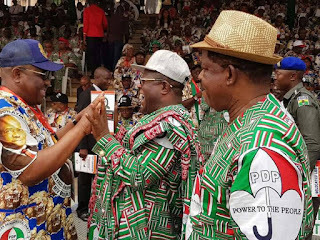 Fellow delegates, having being at the helm of affairs of this country from 1999 to 2015, the PDP has a fair idea of the enormity of the challenges of governance. This has been why throughout the period that our stewardship lasted, the Care Taker Committee tried to tailor the party’s new role of opposition along the path of decorum and sense of responsibility. This was borne out of our appreciation of the challenges as well as our belief that we have to have a functional country to even be in a position to oppose. This, you would agree with me is quite at variance with the type of opposition the then opposition elements subjected our governments to pre 2015. We have refused to pay them back in the same coin because we love this country and cannot, in fact will not in the name of wanting to wrest power, go to the extent of attempting to bring down the roof. Vibrant, but decent and patriotic opposition is what is required to develop and mature our democracy, not mindless propaganda that transmits the wrong signals to the world. As we bow out, we are proud to bequeath this legacy of responsible opposition to the new leadership, with a call to resist all temptations to descend to the gutter in the name of opposition. We must continue to show by our words and actions that opposition is no madness. It is therefore with a high sense of responsibility that I seize this opportunity to draw the attention of the government, for, it seems unaware, to the fact that Nigerians are hungry as poverty is ravaging the land. The relative ease with which foodstuff and other essentials were available and affordable to the average Nigerian under PDP governments is now history. Insecurity in the North East which was thought to be receding is creeping back with greater ferocity, particularly against soft targets. Kidnap for ransom has taken a life of its own, so are the incessant farmers/herdsmen clashes and criminalities so camouflaged. Government must up the ante in its efforts to confront these menaces. Joblessness has never been at such high levels in the history of this country, while the education sector is all but comatose. It is common knowledge that no society progresses if it doesn’t secure the future of its future leaders. It is therefore necessary that a shot in the arm is applied on the education sector to ensure that we do not toy with the destiny of our children. Dear brothers and sisters, in the countdown to this convention, as is normal with such circumstances, especially where contests for various offices are involved, one form of apprehension or the other was entertained by virtually all aspirants over one issue or the other, but we gave all assurances that such fears and apprehensions were misplaced. We pledged to organize a convention that would provide a level playing field for all. I want to reassure all that this is what is being provided here today. No more, no less. Distinguished delegates, I must not end this address without expressing, on behalf of the members of the Care Taker Committee, our profound gratitude to you and other leaders of the party for the trust and confidence reposed in us to steer our party away from the precipice. We have tried to give it our best; and with all humility I believe we have been able to lay a solid foundation for the repositioning of the party. All that is left now is for the new leadership to carry on from here. However, as is normal with all human endeavor, we cannot lay any claim to perfection. In the course performing the job, we have had to take some very difficult and painful decisions, which I believe would have gone down not so well with some of our brothers and sisters; but as I said earlier, all decisions taken were with the best interest of the party at heart. I cannot conclude this address without paying tribute to, and saluting the courage and foresight of our founding fathers in coming up with the marvellous idea of the PDP. We owe them a world of gratitude for bringing together various shades of opinion under one shed to pursue the cause of a united Nigeria, where our diversity would be the basis of our prosperity. We thank them and assure them that despite the hiccups, their dream lives. I also want to thank my colleagues on the Care Taker Committee for their commitment to the cause of our party, which I must confess has been phenomenal. Whatever successes we have achieved has been due to their diligence and dedication. As the leader, I accept responsibility for all the lapses. I wish all of us a happy and productive convention. God bless the PDP and God bless Nigeria. 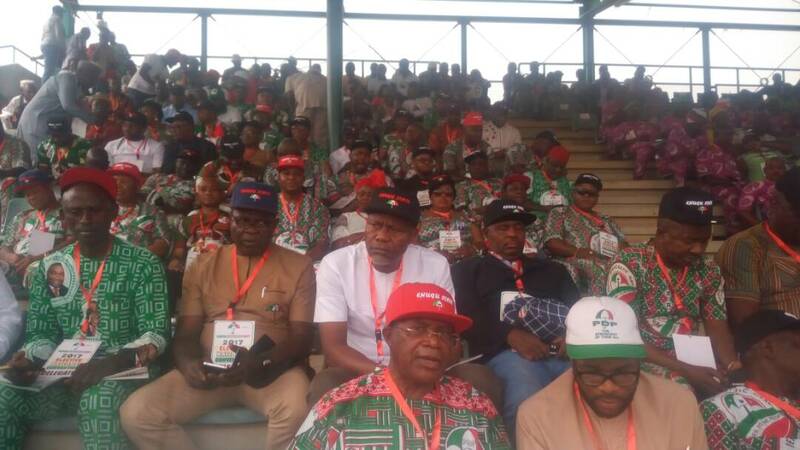 Rivers State Governor, Nyesom Wike, Ebonyi State Governor, Dave Umahi and Former Ebonyi State Governor, Senator Sam Egwu at the Eagle Square, Abuja, venue of the PDP National Convention.